Anybody can make lists of anything on the web. And as you’d probably expect there’s going to be arguments about them over lots of beer. Is Tom Brady the best football player of all time? Are the Lakers better than Celtics? Well, you can argue about those forever, and nothing will come out of it. But this list of the best deltoid workouts, however, can’t be disputed as it is one that’s going to give you broader, stronger shoulders. None of these workouts will turn you into a muscleman overnight, but give it time, and you’re going to get buffed. Sure it’s not going to be easy, and you’ll be huffing and puffing, but that’s part of the fun. These are cable based shoulder strengthening exercises which produce continuous muscle tension. Working out with dumbbells, this workout keeps the tension and resistance up, so your deltoids are always being pushed to the limit. Because the tension is always there, you’ll get a total workout. Hold the right side handle with your left hand, step over and grab the left side handle with your right hand (you can also reverse this). Step in the center with equivalent distant from each. Straighten your elbows but don’t lock it. Raise your arms at shoulder height and fix your elbows. Open your arms and pull the handles along the other side, working out your delts. When your arms reach the “open hug” stance, put the handles back in their original position. It does not matter which hand goes over the other. These exercises for shoulders are among the most versatile, and you can do this standing up or leaning on your knees sitting down. Since you’ll be using dumbbells in this workout, your other muscles will be utilized as well. Hold a dumbbell in each hand and lift up. Bend your knees slightly, flatten your back and chest up. Set your eyes anywhere on the ground in front of you. Bend your hips until your torso is just about parallel to the ground. Allow the dumbbells to hang below you, with your elbows in a slightly bent position. Raise the weights up and until they are at an arc on your sides. Your arms should be parallel to the ground now. Squeeze and pause when you reach the top. Lower the dumbbells and repeat. These deltoid workouts are ideal because they provide continuous tension along your middle deltoids. With the right exercise equipment, you’ll be able to change up the resistance via the weight stack pin. Another option would be to use this with the cable behind you rather than in front. Position yourself sideways along a low cable pulley. Set your apart shoulder width. Reach opposite the pulley and grab a handle. Use your free hand to as a pulley brace or just put in on your hips. Set your shoulders back, chest up and abs tight. Lift the cable to your side without momentum engagement. Raise it along with an arc and make sure your hand and elbows move along one plane. 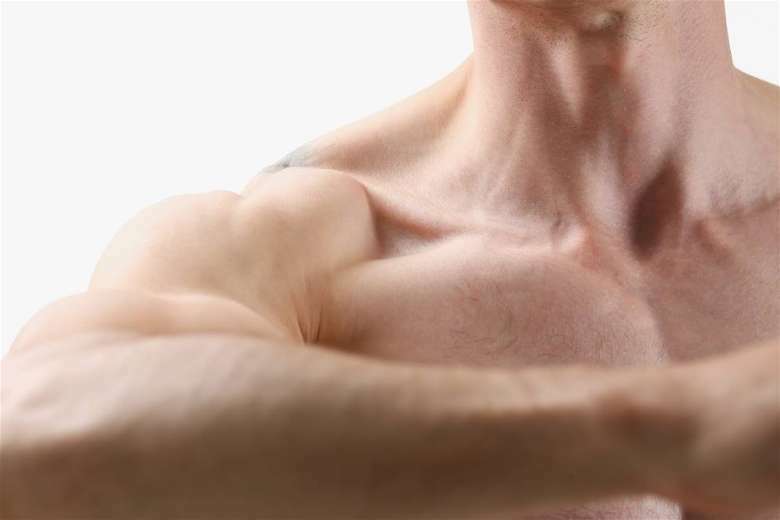 After your arm goes slightly above your shoulder, squeeze your deltoid. Lower down and halt the rack before it goes down. These deltoid exercises are best done with a cable front raise because there is no longer any drag. With this cable, you get free movement, and it removes distractions from each movement. Grab a D handle with one hand and position yourself in a shoulder wide, staggered stance. You should be standing against a low cable pulley. Put your free hand on your hip for balance. Elevate your chest, flatten your back and bend your knees slightly. Raise up the cable, so your arm is parallel with your shoulder. Squeeze and lower your arm slowly back in its original position. Don’t let the stack go down, however. Do all the reps on one side before proceeding with the other. Shoulder workouts for mass gain rarely get any better than the push press. This method requires you to use several muscle groups including your arms, shoulders, and legs. You not only give your shoulders a good workout, but you’ll be able to put those muscles to good use, and you’ll be physically stronger. Remove the pins from a power rack or lift a barbell up to your shoulders. Use an overhand grip to hold the bar, your elbows oriented forward and your palms up. Your upper arms have to be parallel to the ground as the bar is positioned over your upper chest. Standing up, bend your knees and lower your hips down, so you’re squatting at a quarter position. Recoil up with power and project your legs up as your arms are extended. Lift up the bar up, elbows extended fully. Keep the weight up there for a moment and lower it slowly to your upper chest. This is one of the best shoulder workouts for mass muscle gain as it engages your deltoids well. You can use a dumbbell or barbells, but a Smith machine can be just as effective too. In many cases, it is actually better since it reduces back stress and eases shoulder discomfort. Stand upright and set your hips width apart. Use an overhand grip to grab the Smith machine bar, just a bit out of shoulder width. Keep your arms straight. Bend your knees a little and keep your core tight. With shoulders flexed, pull the bar to your chin. Make certain the bar is always near your body during this time. When you reach the highest position, your elbows should be pointed at your sides. Maintain this spot for a second and lower back to the original position. The face pull is one of the best shoulder workouts because it exercises your middle trapezius. Leverage also comes into play, and this allows you to work with more weights. The more weights you’re forced to handle, the quicker muscle development will be. Secure a rope attachment on a pull-down station. The attachment will be used as a counterbalance so it must be heavy enough. Fronting the pulley, hold the rope’s ends, palms facing and with an overhand grip. Raise your elbows to your shoulders and along your sides. Put one foot on the kneepad, as it does a better job of balancing you than just standing. Position your body, so you’re leaning at a 45-degree angle to the ground. Keeping your elbows raised, pull the rope to your face until your hands are by your ears. Squeeze and go back to your starting position. Don’t let the stack go down while between the repetitions. This shoulder workout routine is not perfect, as the resistance level is not always uniform. Even so, this is an exercise you will want to try out because lateral raises puts a lot of tension on the middle deltoids. The lateral raise goes after your muscles and makes them function the way they’re supposed to, arms out and upward. By making some adjustments to the way you hold the bar, i.e., angling your thumb, so it is positioned lower than your pinkie, your mid-deltoids get worked up even more. Stand up with your feet shoulder wide. Keep your shoulders back, chest up and make sure abs are tight. Hold a dumbbell in each hand and make sure your head is straight. Holding your dumbbells neutrally, lift the dumbbells, so it forms an arc on your sides. Do not use momentum. Make sure your hands and elbows move on one plane. Lift the dumbbells above your shoulders. Keep it up there for a couple of seconds. Lower the dumbbells along the same route. This dumbbell shoulder workout is for you if you want massive shoulders. This is not easy to do and takes time to master. You will want to use a barbell than a dumbbell press for heavier loads. As for reps, it’s all right to do 3 to 5 with a bar. Look for a barbell press station. Sit and make certain your back is arched slightly. Your feet need to be set flat on the floor. Hold the bar slightly more than shoulder width. Grip with your palms facing forward, your elbows outward and pointing down. Unrack the bar carefully and hold it by shoulder level. Using a strong, smooth motion, press the bar straight up just before your elbow’s lockout. Squeeze and lower the bar along your clavicle and chest area. Make certain your face is pulled back as the barbell passes. Otherwise, you’ll get smacked on the nose. These shoulder workouts with dumbbells don’t allow you to handle the same kind of weights that a barbell does. However, holding a pair of dumbbells makes you do more work when it comes to coordination. With machines, you can work one side harder than the other, but with dumbbells, it has to be both at the same time. Sit on a weight bench. Hold a dumbbell in each hand. Your palms should face forward and your hands above shoulder level. Focus your eyes forward, spine aligned and shift your shoulders back. Shift back your shoulders and press the dumbbells towards each other in an arc. Do not allow them to make contact. Squeeze when you reach the top. Reverse the top and lower your arms. Aside from the ones we mentioned above, there are several other routines you can try. Reps: you’ll want to start with 8 reps and work your way up to 12. Sets: for best results, you’ll want to go for 4 sets. Don’t make your workouts complicated. The routines above are pretty simple and shows how much fun it can be. Just focus on making improvements and make certain you’re doing each move accurately. Shoulder muscles take time to develop so you need to be patient. Progressive overloads are ideal if you have a skinny frame, and it will help if you bulk up too. There are many ways to do progressive workouts, but it basically comes down to challenging yourself. As soon as you’re comfortable lifting a certain amount of weight, push yourself to lift more. If you started by lifting 60-pound dumbbells with 8 reps, you can increase the weight to 65 pounds and stick with 7 reps. Or you can stay at 60 pounds but do 8 to 10 reps.
1. Work out all three deltoid sections. Fully developing the back, middle and rear are necessary to get a muscular look. Unless you work on all three it’s going to be impossible to build muscular shoulders. 2. Don’t be afraid to mix and match your workout routines. Once you are comfortable with the sets and reps as given above, it’s all right to tweak them. You can shorten the rest times, modify the rep range and so on. Doing this will keep you interested in the workouts. 3. When varying your approach, try to have 5 exercises that target your rear, anterior and main deltoid. Doing this ensures you’ll be able to work them out properly. Change the routines every so often to sustain your interest. 4. Do not allow yourself to become comfortable with the reps. You could spend some days doing high reps and doing heavy loads on others. 5. Rest time between sets can be changed up. 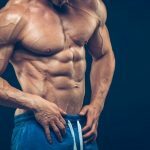 For beginners, you should follow the guidelines above, but you can make do with short rest times while lifting heavy sets. 6. Do not overextend yourself: there is no point pushing your body to do more than it can. That’s not going to make your shoulders get bigger. 7. Give yourself a rest day. Lifting weights every day is not a good idea. In fact, some like to work out every other day and still get good results. It is during your rest day that your body builds up those muscles around your shoulders. 8. Don’t neglect other parts of your body: while we have focused on shoulders, that does not mean you should ignore your other body parts. Work on all them so you’ll have a healthy, well-balanced physique. 9. A healthy diet: your efforts at building powerful shoulders will only work if you provide your body with proper sustenance. Lots of people are now doing workouts and with good reason, as it’s essential to keep yourself in shape. 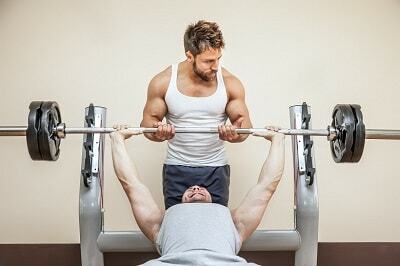 But while most focus on the biceps, chest, and legs, the shoulders are often neglected. And that’s unfortunate since having muscular ripped shoulders are essential if you want to get that ripped look. Now with this list of the best deltoid workouts, you’ll be able to get that body you’ve always wanted and can show everyone who’s a boss.